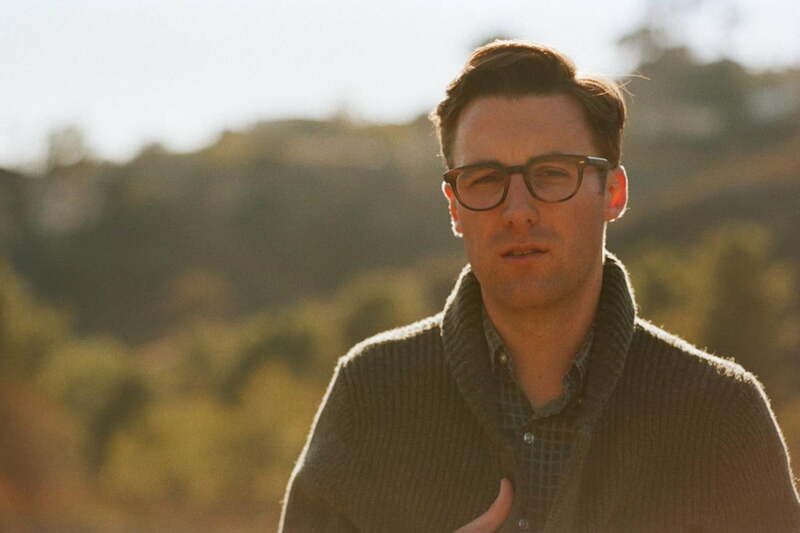 All hail the new King of Retro Cool, Nick Waterhouse. In fact, you’ve probably already seen and grooved to the good King Waterhouse without realizing it — he’s the guy who’s singing “where you think you’re gonna go/when your time’s all gone?” in the recent Lexus CT Hybrid Live a Full Life commercial campaign. 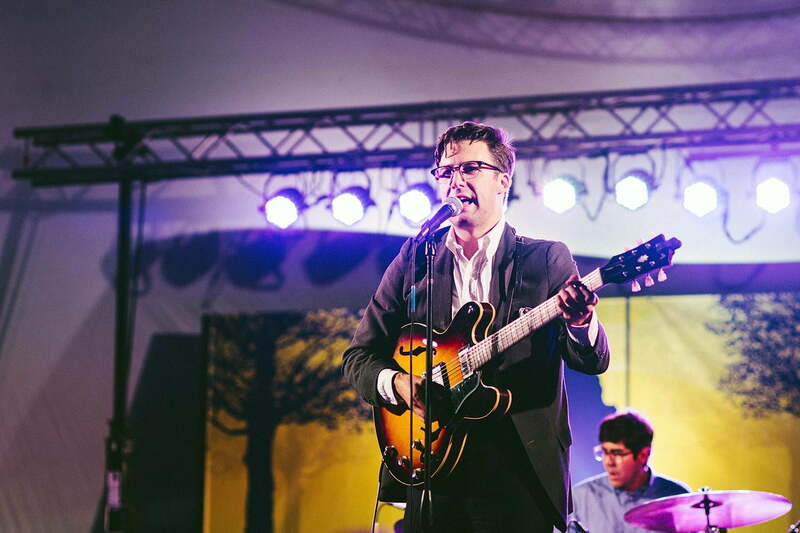 But his super-snazzy brand of modern jazzabilly rock extends well beyond those 30-second snippets. His second full-length LP, Holly (Innovative Leisure), builds on the retro-rockin’ bed of 2011′s aurally seductive Time’s All Gone. 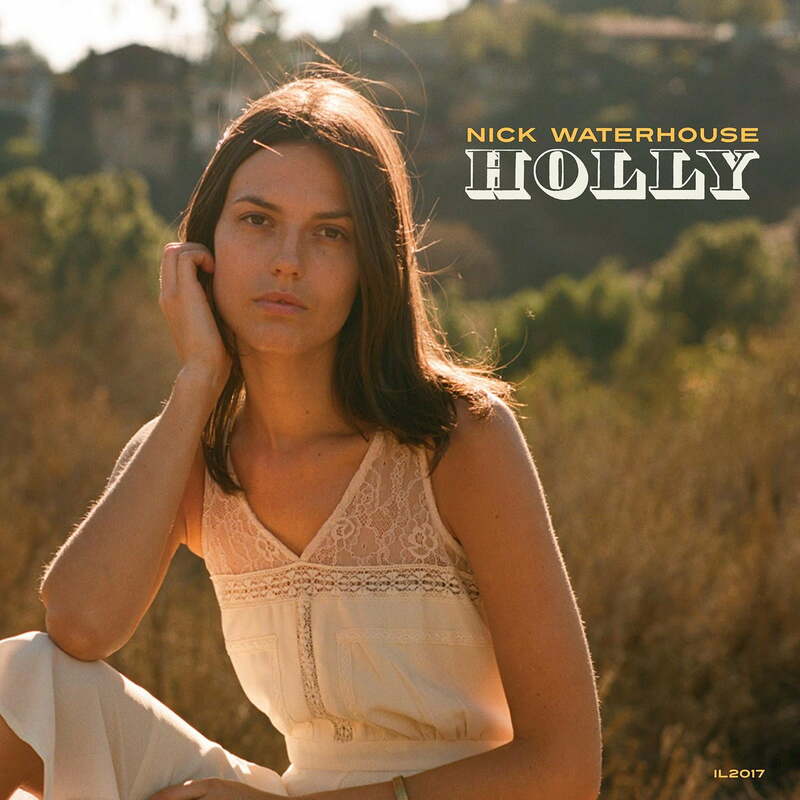 And Holly’s got game for days: Ain’t There Something That Money Can’t Buy takes up residence at the corner of swing and jam, while This Is the Game gives good earworm thanks to its sweet horn-laden intro and tasty middle-section organ interplay. While Holly sounds quite cool ’n’ smooth via 44.1kHz/24-bit download, its creator would like you to hear it in the format he prefers: virgin 180-gram vinyl, “for character and warmth.” Waterhouse, 28, recently convened with Digital Trends to talk about the benefits of recording in mono, his favorite vinyl reissues and playback gear, and his possible direct connection to Bob Dylan’s legendary Blonde on Blonde. Digital Trends: Ok, ’fess up — you really are a mono fanatic, aren’t you? Holly was recorded direct to tape, right? It was! I did the record at Fairfax in Van Nuys, [California], which is where the Sound City studios used to be. The owner, Kevin Augunas, was my co-producer on the record. We used four Scully 16-track recorders that were obtained from A&M Studios, so they’re really nice. And I feel it imported a lot of that character, because Scullys are known to be precise and have a kind of different warmth than Ampexes do. I was so pleased with the results. I really got a sense of the character of the room and space you recorded in, because Holly has that special, live off-the-floor feel. Oh yeah yeah yeah! I’m a big advocate of cutting live. A lot of this record was tracked with the keys, rhythm guitar, bass, and drums all together. On a song like Well It’s Fine, you really hear the subtlety and detail with [Richard Gowen’s] brush drums on the intro. That tune was a favorite of mine, even though it’s the most minimal. You can hear so much of the room, and everything was cut live. Listening back to it gave me the chills. It reminded me a lot of the [Rudy] Van Gelder productions for the Blue Note jazz stuff. Mm-hmm, that’s the very talented Jason Freese on tenor sax. While Holly does sound quite good digitally, you’ve taken extra care to make sure it sounds even better on vinyl. I had the very talented Kevin Gray master it, and I had Quality Record Pressings in Salina, Kansas press the record. As you probably know, they did Quality Pressings of some of the Prestige and Blue Note stuff. They cut it on the same machine that they do their deep-groove reissues with. Holly is 180-gram on a single disc, at 33. I stayed conservative in that sense. I’m really pleased, because the record clocks in at 31 minutes. That’s a good call, especially in these days of Short Attention Span Theater. And because the album is fairly economical in length, you didn’t have to make any compromises at all on either side. Not at all. And I’m really excited how Sleepin’ Pills ends the groove of Side A.
Oh yeah, it’s the perfect sequencing to maximize that inner groove. And without giving too much away, I have to say I love what you had etched into the runout groove on Side B.
Let’s get into your gear. What kind of turntable do you have? I have one of those old VPI Classics that I really like a lot. I used to have an Empire 298 that I really liked, and I actually moved that to my office at the studio. I picked up the VPI secondhand last year, with my first big recording check. I figured that was the best way to reward myself. (both laugh) And that goes through a nice Fisher X-101-B receiver. I like the phono stage on that a lot. What kind of speakers do you use? Klipsch Heresys. To me, that’s a very classic high-level consumer system. Most of what I listen to are mono jazz LPs and pop 45s. What kind of cartridge does the VPI have? I actually switched between a Denon DL-102 and DL-103. I have the 103 because that thing takes beat-up old 45s really well. What’s your favorite record that you’re currently spinning on the VPI? Actually, Derek Trucks recommended a Chico Hamilton record to me the last time I talked to him — The Dealer [released in 1966]. Oh, The Dealer is really tough! I love that record; it’s a funky record. Man From Two Worlds is more my speed, though. Derek Trucks is a little more funky than I am as a player. (chuckles) There’s a lot of heavy jazz in his playing. The first things I bought were not LPs, but two 45s: Booker T. & the M.G.’s’ Green Onions, and Charlie Rich’s Mohair Sam. Smoky-cool is what I’d call your kind of playing. What else can you recommend? I’m also a really big fan of Garnet Mimms, and he has two records out on United Artists. Cry Baby is the single [later covered by Janis Joplin], but As Long As I Have You (1964) is one of my favorite LPs of all time. It’s a really wonderful-sounding, big city, kind of New York-full kind of record with Gerry Ragovoy production. And of course, you can’t go wrong with Bobby “Blue” Bland’s Two Steps From the Blues (1961), on Duke. It’s an amazing-sounding record — and in mono, nonetheless. It’s funny. There’s a series of records I didn’t put any cash down for but that my uncle gave me. It was three of the earliest Rolling Stones records: The Rolling Stones Now! (1965), Out of Our Heads (1965), and Aftermath (1966). He gave me the London pressings of those. And on top of that, he gave me a couple of Miracles, Four Tops, and a Yardbirds American reissue… what was it called…? It was probably the Yardbirds Greatest Hits (1967), with the “lasso” song logo on the cover. That LP had the yellow Epic label on it — which looks a lot like the one you’ve got on the Holly LP, in fact. Yeah, that’s it! Those records were all big parts of my life. But the first things I bought were not LPs, but two 45s: Booker T. & the M.G.’s’ Green Onions, and Charlie Rich’s Mohair Sam. Those I see as the cornerstones of my musical vocabulary, really. Please tell me you still have those 45s. I do, yeah! They’re in the boxes, so to speak. When I finally became a “real” musician, I explained to my mom that all those years she spent scolding me for spending my day-job money on records was moot now. I love that! How do you stand in The Beatles universe in terms of mono vs. stereo? They just put out the most amazing vinyl box set, The Beatles in Mono. I have no opinion about that — Ray Charles was my Beatles. Ok, then what about The Rat Pack? Oh, The Rat Pack. I dig them, but I never got too heavy into them. I love their records in mono because that’s how they were recorded, in that format. Anything else on vinyl that you took a chance on that was great? Let’s see, I’m looking at my wall right now… I just got a really amazing Japanese reissue of Georgie Fame: Rhythm and Blues at the Flamingo (1964), a live record. It’s really nice, a replication of the U.K. pressing. They did a great job remastering it. I’ve got the new Charles Bradley LP here, Victim of Love (2013), which sounds really nice, and I just invested in a subscription to the Prestige Mono LPs Reissues Series, and they recently sent me Phil Woods Quartet: Woodlore (1955), Hank Mobley: Mobley’s Message (1956), and Tommy Flanagan: Overseas (1957). I’m really enjoying those right now. Last thing: Bob Dylan. Does he filter into your universe? He does, but he came in really late. I feel grateful, actually. I like that he came in after I learned about blues, R&B, folk, and gospel, because now I see all that in there. I love him in mono, especially what’s in The Complete Mono Recordings box set. [Released in 2010, the Complete box contains the definitive Dylan mono recordings from 1962-67.] Here’s a little trivia you’ll enjoy: The console that’s now at Fairfax is the one Kevin Augunas, whom you’ll remember is the owner and my co-producer on Holly, got from Bradley Barn, the old RCA studio in Nashville. It was built in 1965, and it might have been used to track Blonde on Blonde. How cool is that?